In any divorce, asset division is an important factor (and often the most time-consuming element) in the divorce proceedings. But if you or your spouse has a large number of assets—be it business assets, financial assets, properties, or other types of assets—there are certain things you will need to consider. Here’s what you should know about your high-asset divorce. The first step in going through a high-asset divorce is to sit down with your divorce attorney and carefully lay out all assets included in your marital estate and that may be subject to division. Your attorney will then work to get an accurate value for all assets that will be included in the divorce negotiations. You should also be aware that your attorney and your spouse’s attorney will be delving deeply into savings, properties, investments, and more, and may even work to dig up hidden marital assets. So, it is in your best interest to disclose all assets to your attorney, since those assets will likely be found in the proceedings eventually; giving them all the proper information will also allow your attorney to properly prepare to potentially protect those assets you want to retain during the divorce. Additionally, hiding assets may be punishable by the court. If you moved money before the divorce was initiated in an attempt to hide funds, they will usually turn up during asset examination. When this happens, the court may decide to award your spouse with damages for your wrongdoing. Odds are, you’re ready to move on with your life. But a high-asset divorce takes quite a bit more time than standard divorces. If you wish to ensure you get all that is rightfully yours, you need to be prepared to endure legal proceedings for months, and in some cases, years. If you try to rush through the process, you may lose out on some of your important assets. In high-asset divorces, you work with more than a single attorney on your case; you’ll be hiring a whole team of experts to work for you, such as a forensic evaluator, who will carefully go through your business’s finances to determine which portions are divisible and which are considered separate property. You need this full team of experts to ensure everything is divided as it should be, and that you retain the portions of your assets that are rightfully yours. Even if you had the business before you were married, or you inherited it from your family, portions of that business may still be divisible. The court usually starts with the assumption that all assets are divisible. However, the forensic evaluator we mentioned above is responsible for carefully tracing your company’s growth during your marriage, and determining which portion of the assets are attributable to a separate property, and which are part of the marriage estate. While it may be frustrating to feel like the business you created is being portioned off to a spouse who didn’t have a part in its growth, if the business was created during the marriage, or if it grew significantly during the marriage, your spouse is usually entitled to a share of that value. However, we will do all in our power to ensure you retain as much of your business’s value as possible. Individuals involved in high-asset divorces often need to make major lifestyle adjustments after the assets have been divided. High assets upfront typically mean significant losses when property is split up and alimony is established. You should be prepared to make some changes to your lifestyle once your divorce has been finalized. If you have a lot to lose in your divorce, then it’s important that you get the best attorney that you possibly can to ensure your assets are protected. Look for someone with experience in high-asset divorce cases. Ask questions about the other members of their team, such as forensic evaluators, to ensure you’ll have a number of people supporting you through this case. 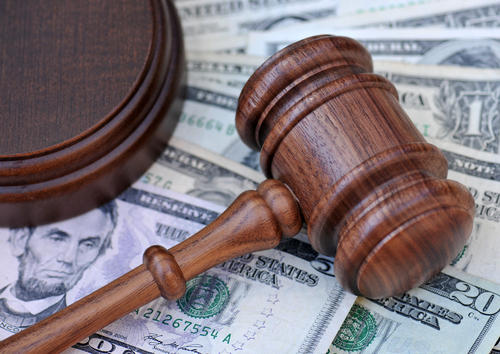 Whatever you do, don’t skimp on your legal representation; your attempt to save a few bucks could cost you significantly when your assets are divided. If you’re going through a high-asset divorce, contact our law offices today to speak to an experienced, reliable attorney. We can represent you through the proceedings and ensure your assets are properly divided, so you get all that you deserve.